I am so excited by all the Scuba pictures that have been popping up on my Pinterest account lately. I have been updating the Scuba board with loads of inspirational ideas. From big party dresses, to simple sweatshirts or oversized coats. 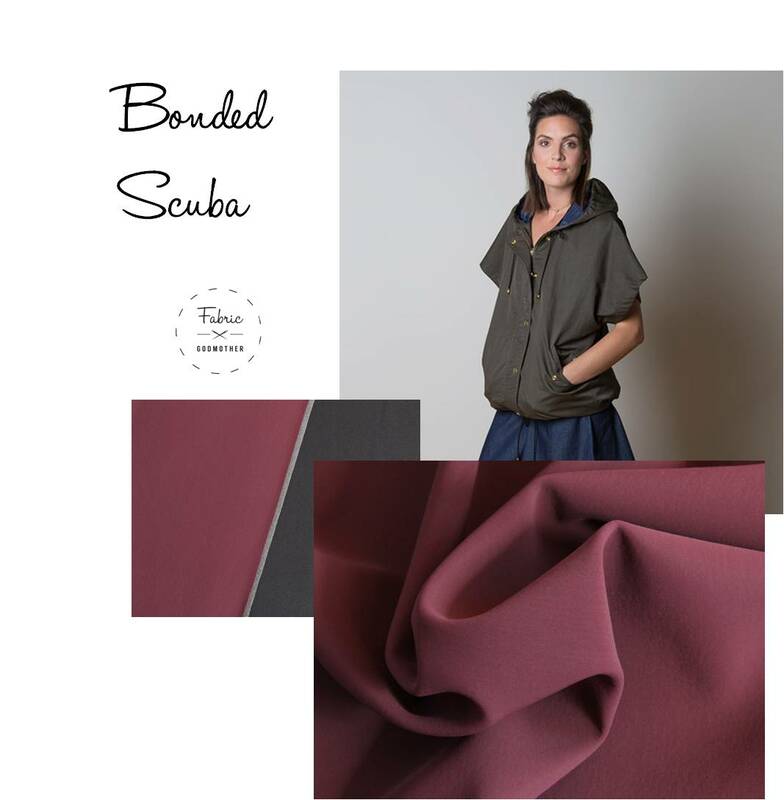 Scuba is really showing itself to be a huge versatile fabric trend that is going nowhere. 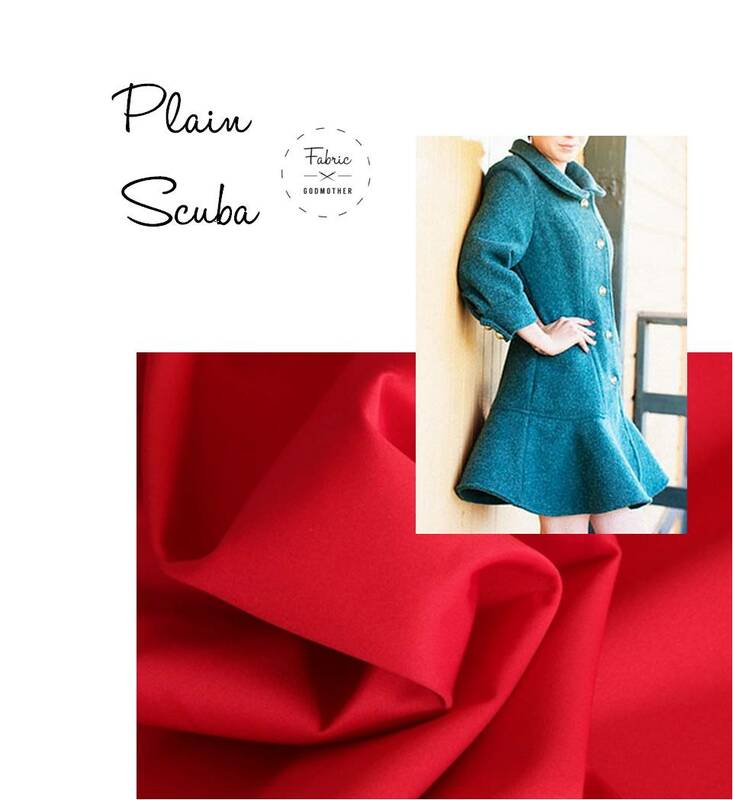 Here are our newest Scuba fabrics and some patterns to inspire you. Find our full range of scuba fabrics here. 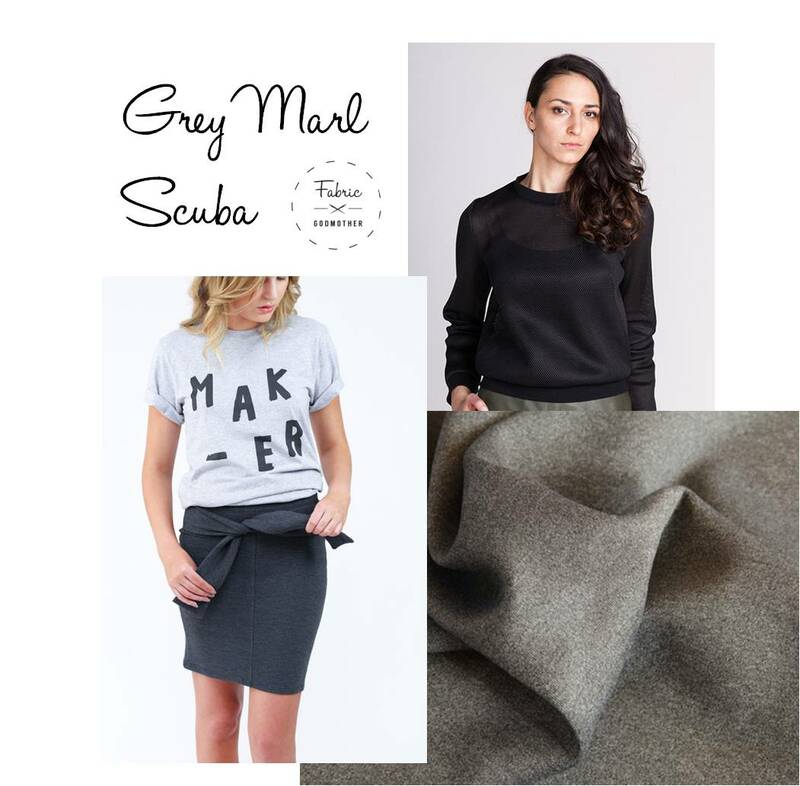 Grey marl scuba, I love the idea of a simple pencil skirt with a fake tie waist paired with an oversized sweatshirt in this fabric. Try Megan Nielsens Axel skirt and the Named Sloane sweatshirt for this look. Sportswear is looks great made in a scuba with lots of body. Cosy and very modern ticks all the sports luxe boxes. Sewaholics Seymour jacket made in our 2 tone bonded scuba in claret would be an ideal cover up for now and an extra warm layer in the winter. Already planning your Christmas party dress? Why not go for a scuba one for added oomphh! Navy is a little more grown up than black and looks great in this midi length style. 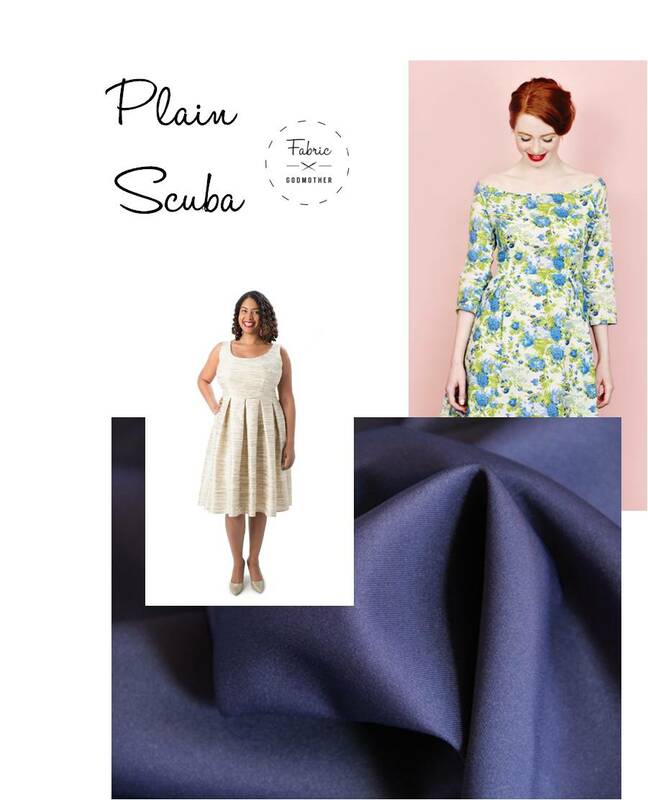 Recreate this look with the Bardot dress from Simple Sew or the Cashmerette Upton dress (which goes up to a size 28 and has 3 adjustable cupsizes) in our plain Navy scuba. Brighten up your outdoor wear with a scuba coat in a bright colour and a peplum hem, bang bang, double trend alert! The Abbey coat from Jamie Christina has the perfect hem and our Red scuba ticks the brights box.